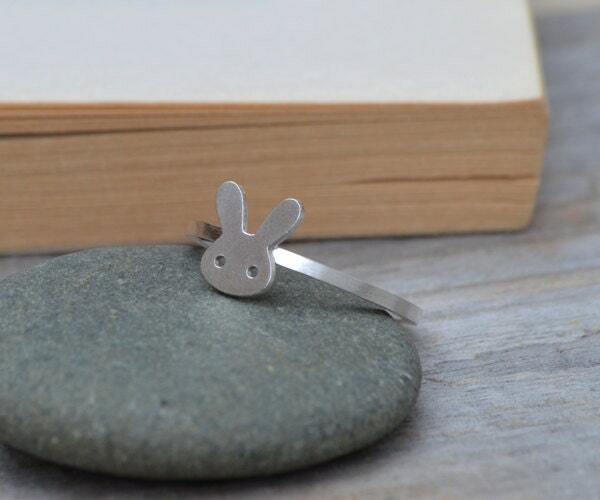 This bunny rabbit ring is handmade at my studio in England. Families of happy wild rabbits live about 20 minutes away from where I am living now. They always come out after 6pm to play and eat the juicy grass in the area. 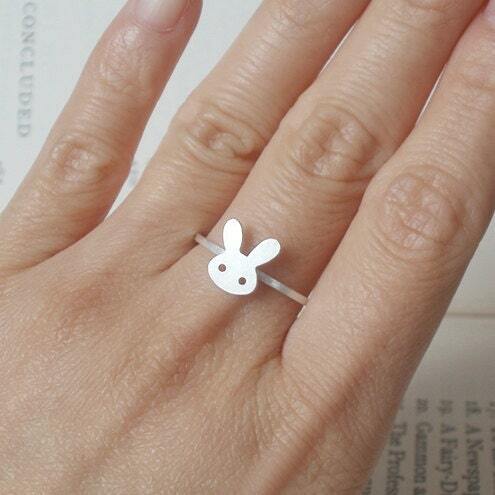 This bunny ring is inspired by them :) It is handmade at my studio in England. Dainty, but beautiful. Hui was very patient and helpful with my seemingly never-ending queries. 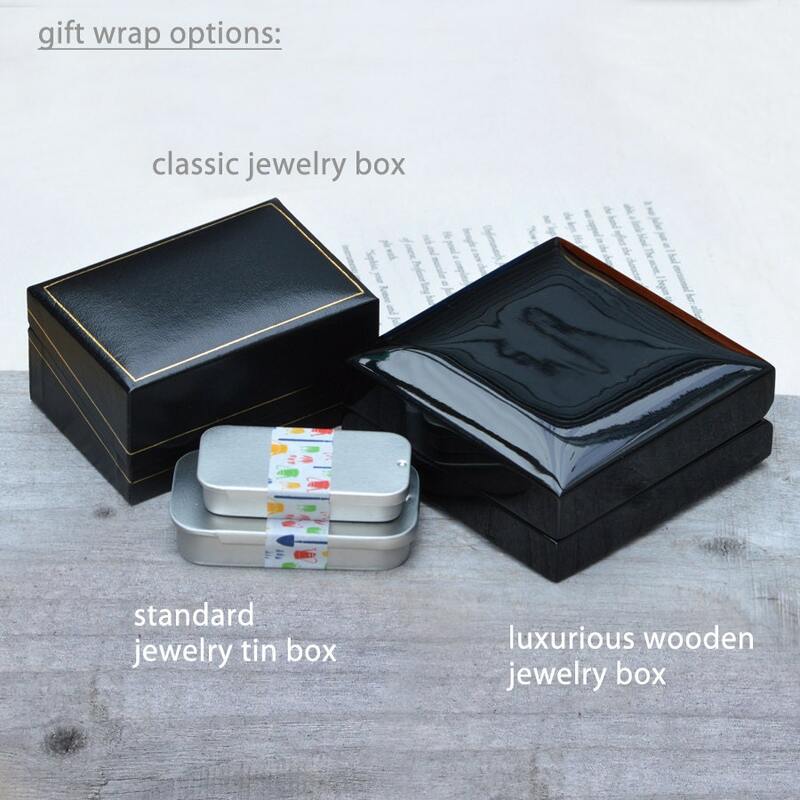 Well-packaged, too. 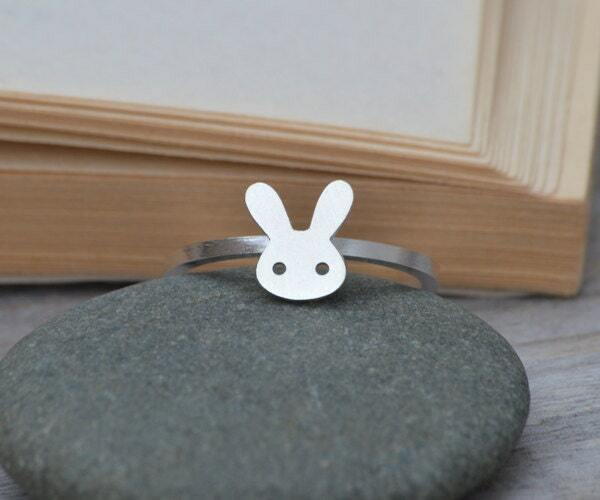 This ring is too cute! Love it. Thanks. 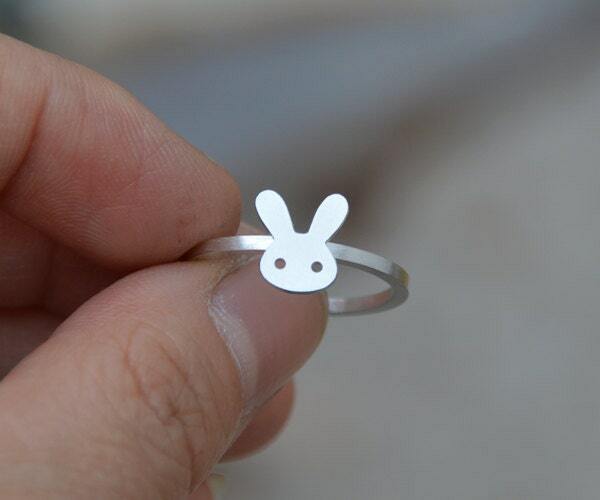 My girlfriend loves her new ring.